Kochi: A 45-year-old patient of Parkinson’s disease got a new lease of life after undergoing Deep Brain Stimulation (DBS) implantation at Amrita Institute of Medical Sciences. This was the first time in Asia that DBS implantation had been done using medical robot called ROSA, a technology that enabled minimally invasive surgery of the central nervous system with a level of precision not possible by human hand, a release from the hospital said here. It was difficult for Zubair, belonging from Guruvayoor, in Thrissur district, suffering from Parkinson’s, to complete a single trip, as he would start shaking uncontrollably midway, terrifying his passengers, it said adding that often, he had to request them to disembark and take another auto for their safety. Zubair would then take his medications on the roadside, wait for the effects to kick in, and make another trip to earn a living and support his wife and two children. After the trail-blazing surgery by Dr Ashok Pillai, Clinical Professor, Deptartment of Neurosurgery, at Amrita Hospital, Zubair’s symptoms have disappeared and he is now able to lead his life as any other healthy adult. Considering the financial situation of the patient, the hospital conducted the surgery free of cost. DBS was a neurosurgical procedure that was first introduced in the US in 1987. 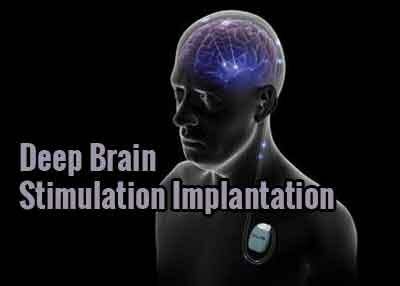 It involves the implantation of a neuro-stimulator (‘brain pacemaker’) in the patient’s body which, through wires connected to the head, sends electrical impulses to specific areas in the brain, it said. DBS has provided therapeutic benefits for treatment-resistant disorders like Parkinson’s, epilepsy, movement disorders, chronic pain, depression and obsessive-compulsive disorders. Functional neurosurgery is an important branch of neurosurgery that helps correct treatment-resistant neurological disorders. The ROSA robotic technology, often called the GPS system for the skull, ensures high precision during the implantation of the neuro-stimulator. This was used for the first time in Asia in the case of Zubair”, Dr Ashok added.